Due to service improvements, we are delighted to offer an opportunity for a registered nurse to join our friendly and experienced Cardiology and endocrine team. This is an ideal opportunity to broaden your experience whilst being supported by an experienced nursing team. Ward 24 consists of 8 bedded Coronary care unit, 12 beds caring for cardiology patients and 12 beds caring for endocrine patients. We also have a Cardiology outpatient service based at The Princess Royal Hospital, where staff have the opportunity to rotate to gain experience within the Cardiac catheter lab. 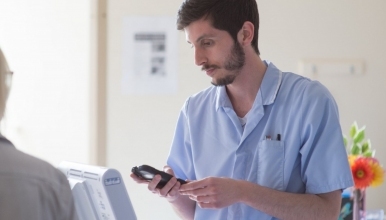 On-going professional development is very important to us and can offer training to widen your experience, including; diabetic training, ECG course and the coronary care course. Together with our staff, we have developed a set of Values which form a framework for a positive and supportive environment for our patients, visitors and staff. We believe that all candidates should be able to demonstrate and be equally committed to fulfilling these Values to be successful in their application.